1. What are your cleaning methods? We use a variety of cleaning methods depending on the type of material that needs to be cleaned and your own preferences. 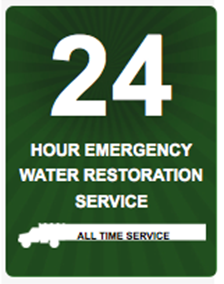 For instance one of our most common methods is steam cleaning. 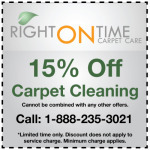 Our cleaners at Right on Time Carpet Care inject a special cleaning solution deep within the carpet fibers. This allows us to get to dirt that has been imbedded in too deep for you to get at yourself. 2. How long will the cleaning process take? It won’t take us more than 20 minutes to clean one carpet in a single room. However, it may take us longer if the carpet is too soiled or there is a lot of furniture that needs to be moved. Spot removal treatments may also take longer. 3. Will you charge me to remove furniture? We will remove your furniture for free! Our expertise lies in delivering hassle free carpet cleaning services. Not only that, we will also place your furniture. 4. Can I count on having a spot free carpet? 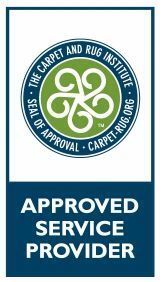 While we do stand by our services we cannot guarantee that your carpets will be free of each and every spot or stain after we have gotten through with it. Factors such as aging and discoloration cannot be gotten rid of. 5. 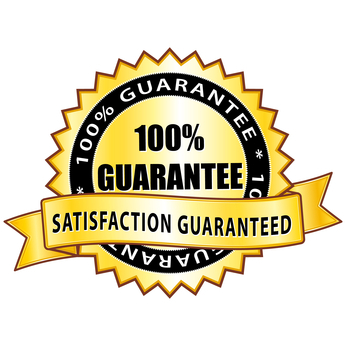 Is customer satisfaction guaranteed? 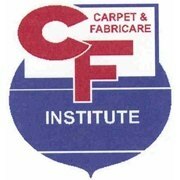 Just tell us your problem and we will consult with you to find a solution that will work whether you want us to spot clean your carpets or an entire area. 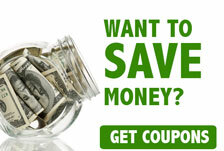 In fact, we are also willing to clean an entire area all over again if our initial efforts aren’t to your satisfaction. We will not be satisfied until you are.